The owner of Tasmanian Chainsaws and Mowers in Launceston has a lot of common sense and solar panels. With the main power link to the mainland broken solar will be helping out Tas Hydro and all Tasmanians in times of disruption. 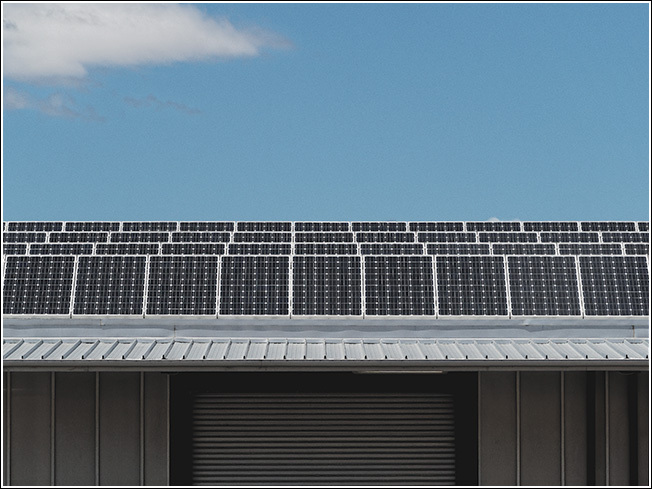 Western Australia now has the notoriety of being in the position where more Roof Top Solar power is generated than comes from power generating stations! As a result the WA government is loosing revenue and guess what, Barnett the premier doesn’t like it, so home owners are actually being penalised for having RTS. Further Barnett the silly has allowed Synergy the states power company to re-write the regulations to actively discourage folks from using RTS. This entry was posted in Architecture, Australian, Brutalism, Minimal, Politics and tagged Politics, Solar.